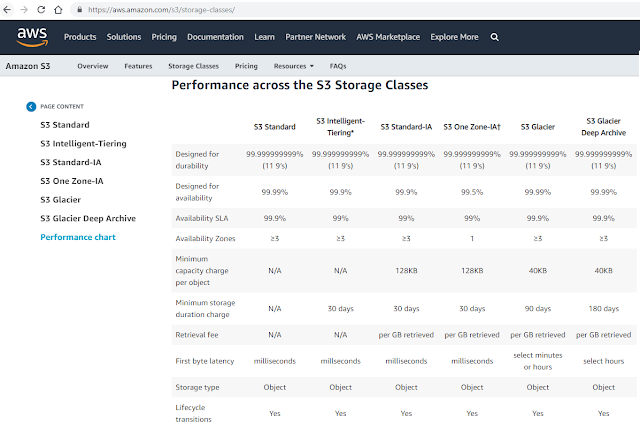 Amazon Web Services announced general availability of Amazon S3 Glacier Deep Archive, a new durable object storage for long-term retention of data that is rarely accessed. 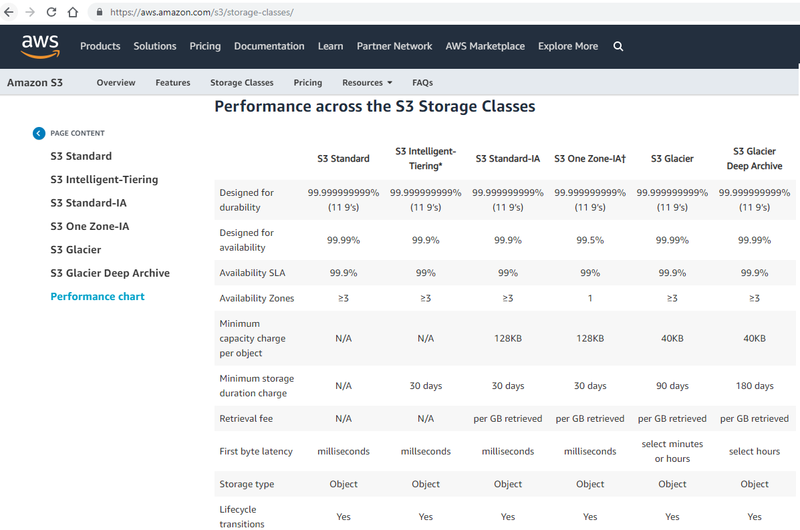 AWS said the new S3 Glacier Deep Archive is the lowest cost storage in the cloud: just $0.00099 per GB-month (less than one-tenth of one cent, or $1 per TB-month). This is significantly lower than storing and maintaining data in on-premises magnetic tape libraries or archiving data off-site. The AWS S3 Glacier service provivdes retrieval options in minutes for archive data, while the new S3 Glacier Deep Archive is ideal for customers who want the lowest cost for archive data that is rarely accessed. In the event that recovery becomes necessary, the objects can be recovered in as little as 12 hours with S3 Glacier Deep Archive versus days or weeks with off-site tape. The Broadband Forum is launching a new Broadband Network Gateway (BNG) project to define the architecture and requirements for a disaggregated BNG control plane and user plane which separates the control plane and data plane. BNG disaggregation is expected to bring benefits such as centralized locations for configuration and IP address management, leading to faster delivery of new services. The work will also ensure the control plane and user plane can be easily scaled according to customer demand. "As demand for both broadband and bandwidth-hungry video applications grows, the disaggregation of the BNG for scalablity is critical to mitigate issues created by distributed BNG deployments. Over the years, BNGs have also had to evolve to support new functionalities such as management of multiple types of accesses, transport encapsulations and customers. This work will ensure flexible scalability through a simplified and agile architecture," stated Kevin Foster, Chairman of Broadband Forum. ZTE reported full-year 2018 operating revenue of RMB 85.51 billion, with net profit attributable to holders of ordinary shares of the listed company amounted to RMB -6.98 billion, which was within the estimated range disclosed in the preliminary announcement of 2018 annual results. The loss was mainly attributable to the US$1 billion penalty paid to the U.S. government. Net cash flows from operating activities amounted to RMB 1.01 billion for the three months ended 31 December 2018. R&D spending in 2018 amounted to RMB 10.91 billion, accounted for 12.8% of the operating revenue. 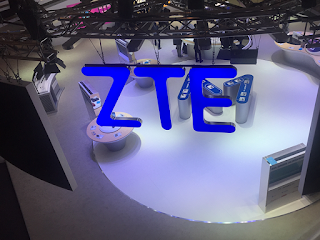 ZTE said it returned to profitability in the first quarter of 2019, estimating net profit attributable to holders of ordinary shares of the listed company to be from RMB 0.8 billion to RMB 1.2 billion. In the Wireless Networks, ZTE announced collaborations with 30 global operators in 5G, with the shipment of Massive MIMO base stations reaching 10,000 and more than 400 NFV commercial and PoC cases worldwide. In the Wireline Networks, ZTE see opportunities such as 5G transport, big video, next-generation PON, SDN/NFV. ZTE has cumulatively filed over 73,000 patents globally, with more than 35,000 granted. 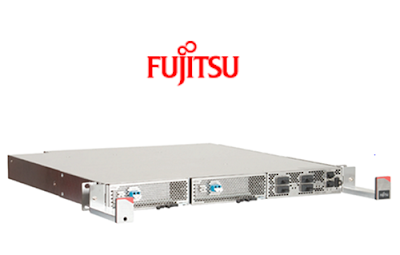 Midwest Fiber Network has successfully upgraded an existing fiber transport network with a 200 GbE system based on the Fujitsu 1FINITY S100 Layer 2 Switch and Virtuora Network Control Solution. Specifically, MFN opted to overlay the existing network with a disaggregated 200 Gbps architecture based on the Fujitsu 1FINITY S100 modular platform with up to 1.2 Tbps bidirectional packet switching capacity. 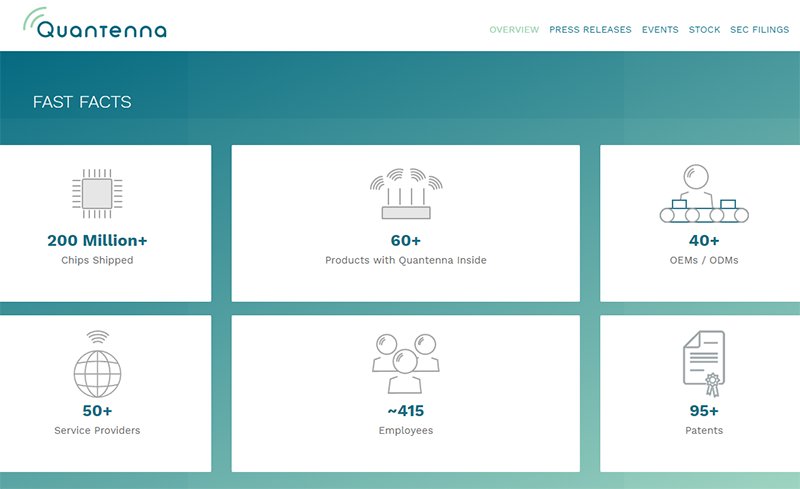 Paired with the Virtuora network controller and packet control application, the 1FINITY platform enables a programmable, software-defined network infrastructure that offers future-proof capacity with a low total cost of ownership, allowing the MFN member companies to take advantage of emerging business opportunities. 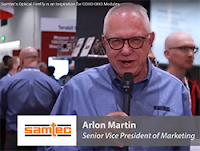 The nine telecom carriers that make up the collaborative Midwest Fiber Network (MFN) deliver voice, video and data services to residential and business subscribers throughout southwestern Iowa, in addition to providing mobile backhaul services. MFN operates a shared transport architecture that spans several hundred miles of fiber network. 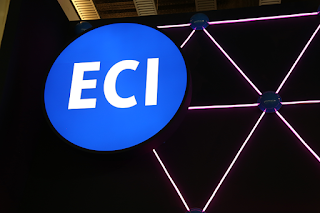 Fujits said this high-capacity Carrier Ethernet network delivers a substantial boost in bandwidth for MFN member companies and their customers, with a flexible evolution path to meet future capacity needs as well. Arlon Martin of Samtec discusses how the Optical Firefly is an inspiration for COBO's small embedded form factor on-board optical modules at OFC March 2019. TUV Rheinland issued the first-ever CE RED certificate for a Huawei 5G mobile phone. The CE mark is mandatory for entering the European market. The Huawei Mate X passed CE certification covering requirements in terms of radio frequency (RF), electromagnetic compatibility (EMC), safety (Safety & SAR), RoHs, and environmental protection. As a leading test service provider and pioneer in wireless communications technology, TUV Rheinland has been focusing on 5G development and its commercialization process. ECI has appointed Irit Touitou as Executive Vice President, Global Technology. 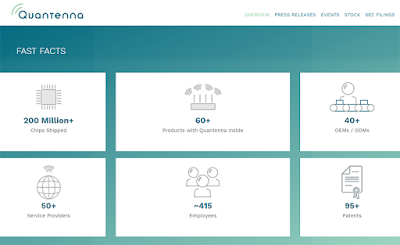 product management, R&D, pre-sales and marketing efforts. In this role, she exceeded sales targets and became a driver for exceptional customer experiences.